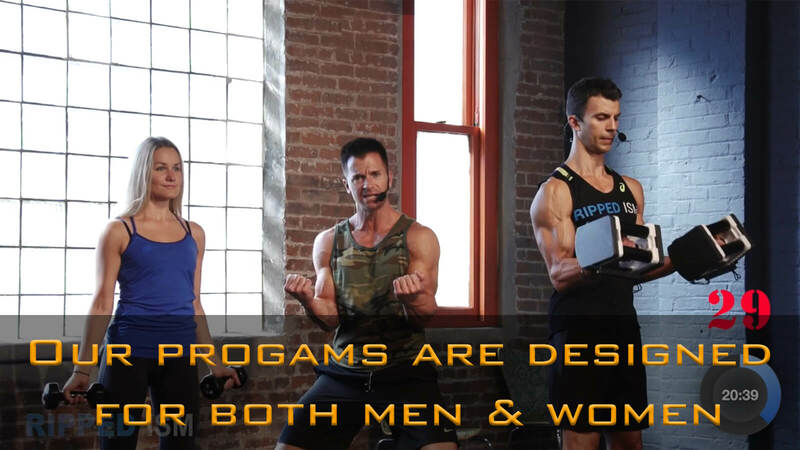 Rippedism is an intense workout program that will burn unwanted fat off your body and give you the ripped physique you’ve always wanted. While our daily workout routine for men and women can be fierce, it’s uniquely designed, so you can work at your own pace and at your own level. You can do the exercises "all out" or you can go more slowly—it’s up to you. You even have the option of doing harder or modified versions of each exercise. Stu and Jeff walk you through everything. Even though our intense workout program will require you to work hard, you’ll love the finished results. Our daily workout routine for men and women is based on 2 key pillars: fast, effective workouts and dietary overhaul. Your body will always be adapting to new kinds of exercises and workouts because we utilize 3 unique training tiers and change up the workouts every 20 days. 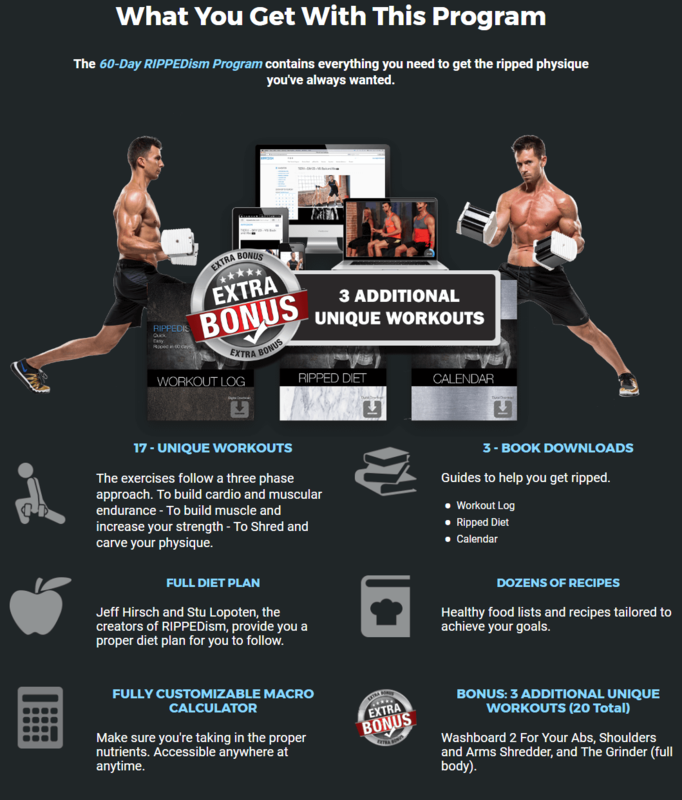 The way our 3-tier approach is laid out will get you in amazing shape, fast. •Dumbbells from 5 lbs. up to 50 lbs. 6 different intensive workouts. 6 Days a week. Here you will start to build a foundation that will get your body primed for the rest of this 60-day fitness transformation. You will build cardiovascular stamina and muscular endurance to prepare for the 2nd Tier of the program. Cardio mixed with weights keeping your muscles firing nonstop for 35 minutes. Upper Body, Lower Body, Core, Cardio, Stretch. It all gets worked hard in this first 20 days. 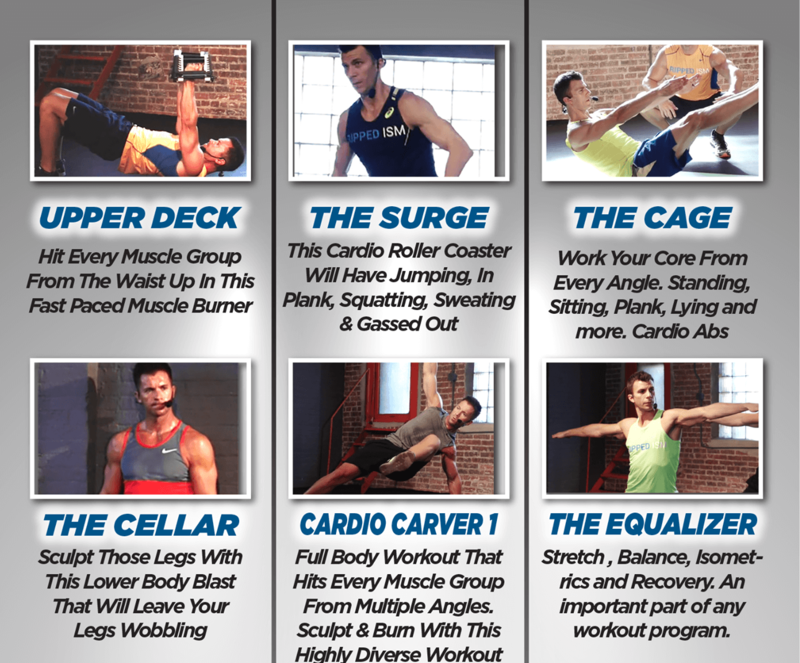 All new workouts in this tier, you will work with time under tension principle to build and strengthen your muscles. You will increase your muscle mass and power with these split body part routines. Even though the workout movements are slower, you will still be drenched in sweat as we incorporate HIIT training to keep your muscles firing for the entire workout. 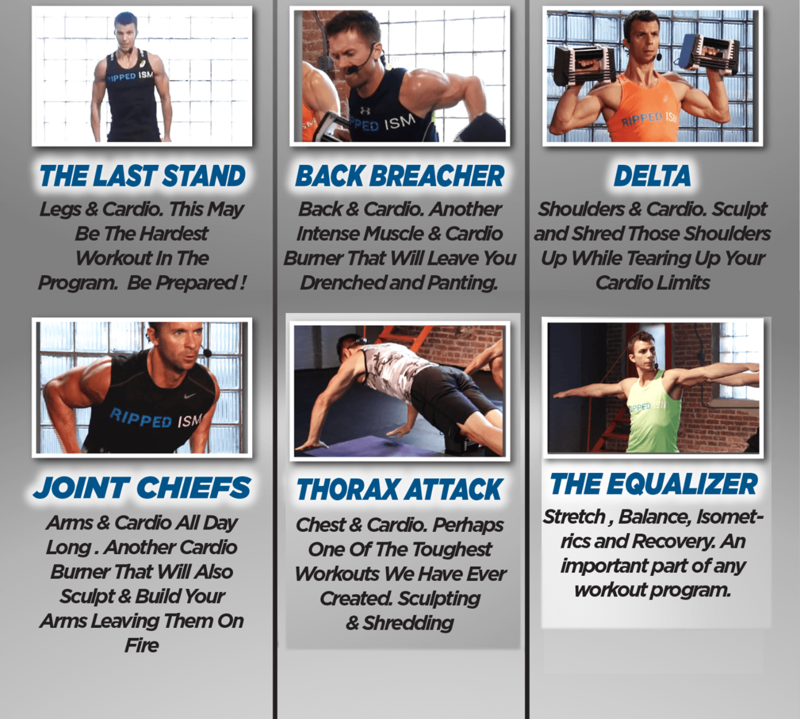 This tier of our 60-day fitness transformation also includes an intense full body cardio workout. Once again, all new workouts so your body never has time to adapt and plateau. This tier is what puts the "Ripped" in Rippedism. This tier is tough, really tough. We work individual muscle groups mixing in intense cardio intervals to make you more athletically fit while shredding and carving your entire body. If you can make it through some of these workouts without taking a break, you are a beast. Get ready to sweat and burn in this tier of our 60-day fitness transformation. Prefer To Pay Monthly ?